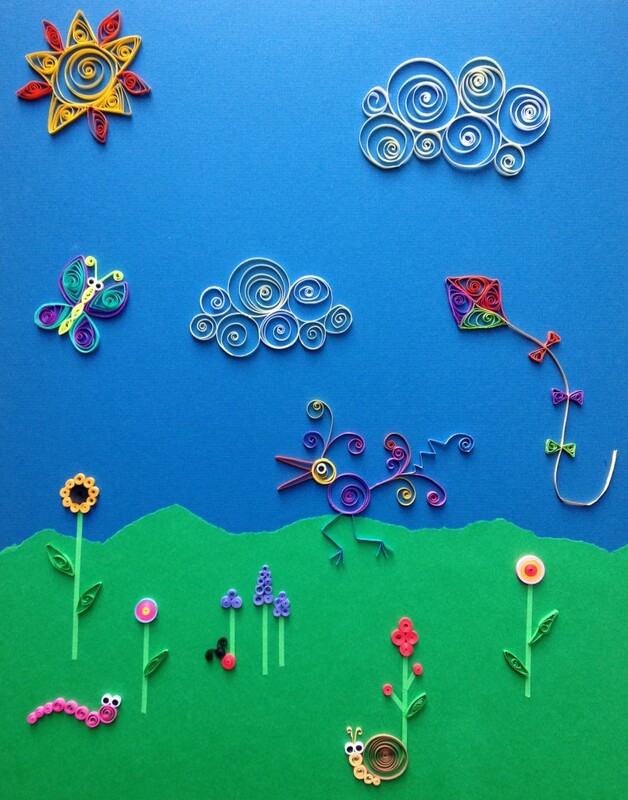 Quilling, also known as paper filigree, is an art form that involves rolling and gluing thin strips of paper into various shapes and arranging them to form designs. 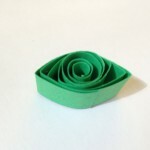 Quilled paper designs can be very simple or as complex as you have the dexterity and patience for! 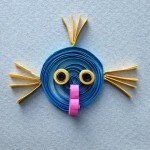 The art of quilling dates back to the Renaissance when French and Italian monks and nuns would use quills (the shaft of a feather) to roll thin strips of paper into ornate designs. They would then used these to decorate book covers and other items, often imitating designs they saw in ironwork. 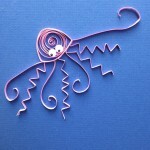 Quilling later became popular in America during Colonial times. 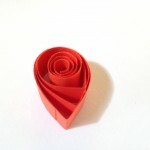 Today, you can find quilled paper art on wedding invitations, greeting cards, jewelry, ornaments, and even gallery walls. 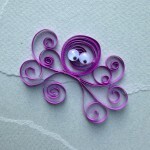 Quilling has become popular worldwide, thanks to the common, inexpensive materials used to do it. 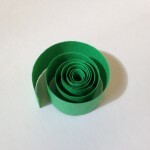 All you need is paper, glue, and something to roll the paper around. Even though quilled designs are made from humble materials, there’s no limit when it comes to the elaborate designs you can create! 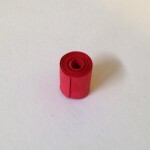 Quilling is traditionally done with 1/8″ paper strips which can be purchased precut and ready to use. 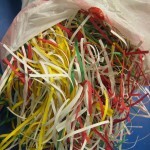 You can also make your own 1/4″ strips using a paper shredder. Beginning artists will have an easier time with wider strips, so I like to start my younger students out with 1/2″ strips (which I cut on a paper trimmer) until they get the hang of it. Most of the examples you see here are designs from the inspiring book, Twirled Paper by Jacqueline Lee from Klutz Press. As with all Klutz kits, it comes complete with everything you need to make the designs they show you, including colorful paper strips, a “twirling shaft”, and even jiggle eyes and glue! And as always, their photos and instructions are super clear and easy to follow. for inspiration, check out these Google images! 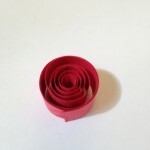 Follow these simple steps to learn the basic shapes for quilling… then combine them to create fun designs of your own! 2. 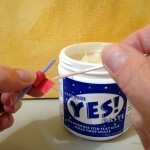 Apply a small amount of glue to the end and press it down for a few seconds (I’m using YES! Paste here). 3. 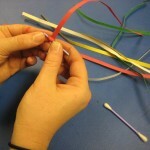 Now pull out your Q-tip “quill” – you have just completed your first tight coil. 4. Roll another coil the same way, but when you get to the end, pull out your quill and release your grip just a little so your coil begins to expand. You can let it expand a lot or just a little…. it’s up to you. A small amount of glue will hold it in place at the size you want. We’ll call this a loose coil. 5. Now make two more loose coils. Pinch one of them on one side to form a teardrop shape. Pinch the other one on two opposing sides to form an eye shape. 6. 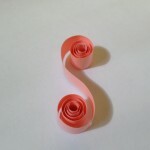 To make a graceful “S” curve, roll a strip halfway and release it. Then roll the other end of the strip halfway in the opposite direction and release again. 7. 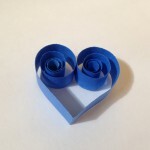 A heart shape is made by first folding your paper strip in half. 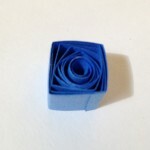 Then roll each end in toward the middle, releasing when you get to the size your want your heart shape to be. 8. 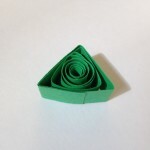 After making each of these basic shapes, it’s easy to make triangles, squares, and more. 9. 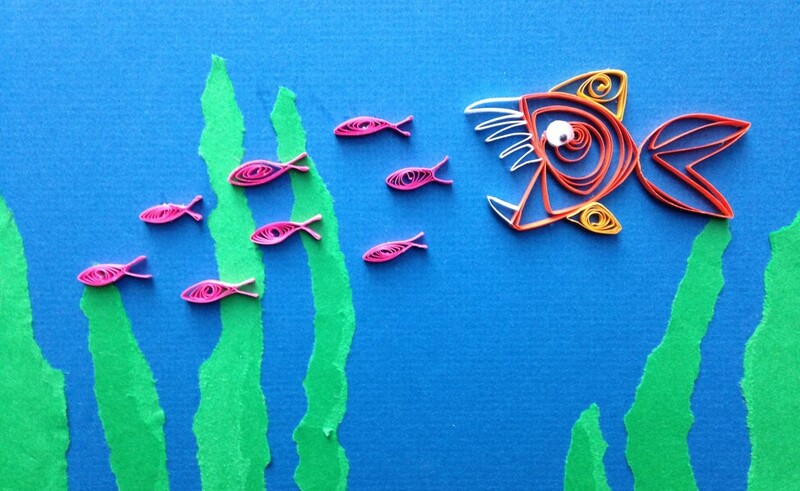 Finally, use small amounts of glue to assemble your shapes into all kinds of fun designs. 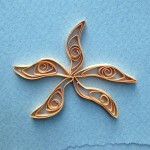 Building a complicated design with quilling can take some patience! It’s a good idea to start with a small project like a greeting card. This way students can learn new skills and experience success without feeling frustrated by a project that takes too long to complete. Impressive! What grade level? 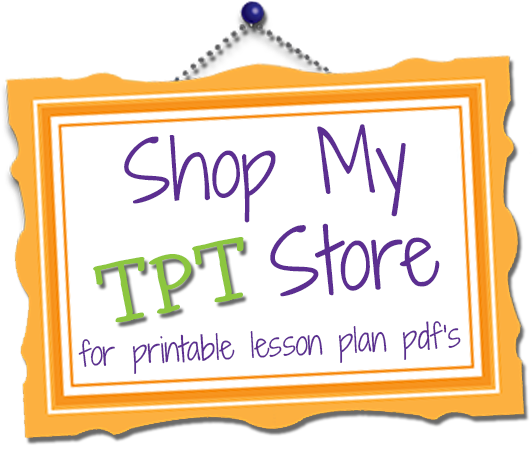 What were your objectives or elements covered in this lesson? Charlene, the examples here are probably best for middle school, although younger students can do fine with these depending on their fine motor skill development… and patience! I always work in some art history and culture, and have students describe how the elements of art and principles of design are used in their designs. I really like these designs because i am doing an Avatar theme in my art class at school and this has really helped me with ideas. Thank You!! thank you for making this website as i am doing a project in Art at school and this has really helped with ideas. Thank You! 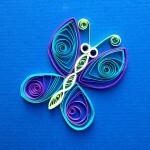 This looks like a great way for children to use their imagination in creating their own personal quilled paper creation! I have never heard of this before, so I look forward to doing this with my students. 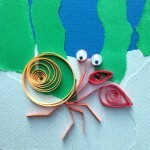 gr8 site.. love this site for ur different ideas in any type of art..
i love paper quilling.. n my kid too..